So, like most of you, I have a little obsession with Target. Want to know what makes it even worse? My mother-in-law is a manger at Target. Ya, I know! I also have an obsession with school supplies...and have my own mini Target in my closet. So today I want to help you all with that obsession you have, too! 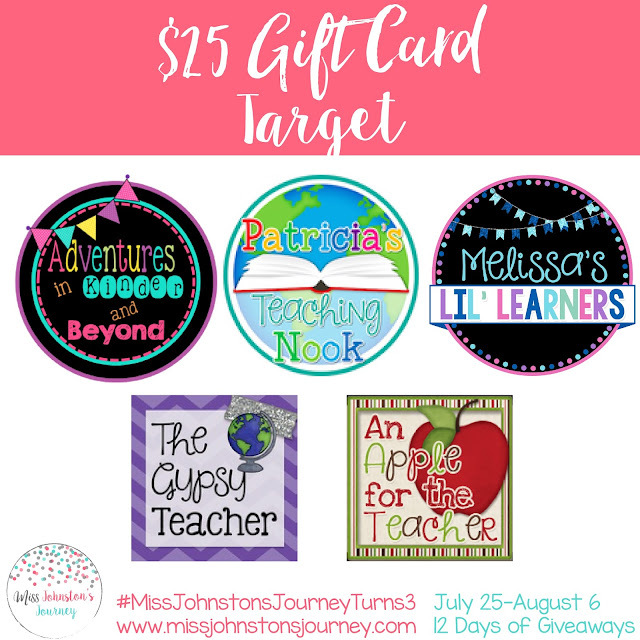 Day 2 of 12 Days of Giveaways is a $25 Giftcard to TARGET! WOO HOO! Thanks to these fabulous bloggy friends for making today's giveaway possible! Giveaway ends August 6th at Midnight. Did you enter Day 1 yet? You MUST!